Rev. 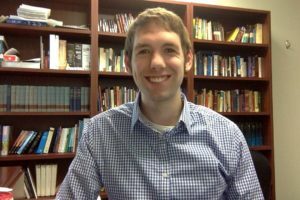 David Bonnema is an Associate Pastor of Youth and Families at Palma Ceia Presbyterian Church in Tampa, FL. David graduated with his Master of Divinity from Asbury Theological Seminary and his B.A. from Whitworth University. David preaches regularly in his church’s contemporary worship service and oversees the youth program. David is married to Sarah and have two daughters, Zoe (4) and Riley (3). David loves Ultimate Frisbee and cookie dough ice cream.